The coaches and staff at Chiefs FC are committed to developing every player - with a focus on helping every player reach his/her potential. When player development is the objective, there is no such thing as overnight success in youth soccer. Our program-wide commitment to player development and enjoyment of the game is the mission and purpose of the Chiefs Futbol Club. 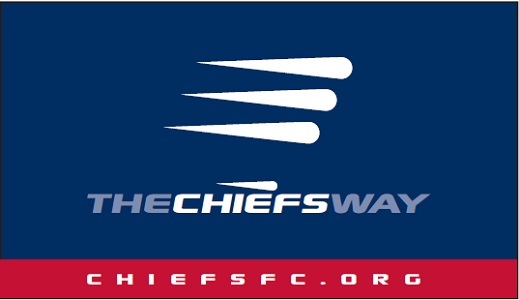 To read more about the Chief's Way, click here: The Chiefs Way - Academy Program. Neil Sr's The Habit is an ideal document for the individual player to take ownership of their soccer development on and off of the field. Neil Sr describes many of the great habits any soccer player needs to be successful. Chiefs FC prides itself on being a premier youth club for coach development and for providing coaching consistency and continuity throughout the program to manage player development and the overall experience of Chiefs players. In order to make the Chiefs Way a reality on every team for every player, regardless of ability or level of team, the Chiefs FC embarked on a major coaching development initiative three years ago under the leadership of the McNab coaching trio. Professional coaches attend mandatory sessions, where the coaching directors and outside leaders from a variety of sports fields show best practices and help educate Chiefs FC staff. There are a minimum of six sessions per year that coaches attend. Academy staff follow a set curriculum throughout each season, and submit lesson plans before every practice session to one of the Coaching Directors. This ensures that the principles of the Chiefs Way and that age appropriate player development is being delivered to every Academy player. Coaches have the freedom to be expressive in their delivery of the curriculum, as we all learn new ideas and techniques to share among the coaching staff. Chiefs FC coaches are required to provide a written report by email on each Academy and Select game to the coaching directors. This helps track team and individual development and ensures proper lesson planning for future practices. Written feedback, in the form of twice a year performance reviews and outside evaluation reports, provides coaches valuable feedback from experienced coaches and “another pair of eyes” on ways to continue to improve. Senior coaches are paired with younger coaches to reinforce the Chiefs Way principles and curriculum, while providing another avenue for coaches to receive feedback. New in 2016, Chiefs FC staff members are encouraged to attend educational trips set up by the club. The staff coach retreat serves as an opportunity to observe and work alongside some of the world leaders in soccer, while also having a chance for team building. With the use of regular newsletters and social media coaches are constantly kept up to date on new trends, articles and items that can further enable them to promote The Chiefs Way. The Chiefs Way Coach Development program is a major investment by our club - one we believe is among our most important as it directly impacts the development of well-rounded youth soccer players. Providing a well-defined set of player development standards, expecting a high level of professionalism by all coaches for every team, and providing meaningful feedback and support to every coach are the ingredients to being in the position to develop players at all levels of play to best of their ability AND to have fun with soccer in the process. We whole heartedly believe Chiefs FC is a great place to play and coach soccer, and we work hard together every day to bring that mission to reality.